Franciscan University women’s soccer lost 2-0 in their home game against Westminster College Thursday evening, their second loss out of five games played this season. 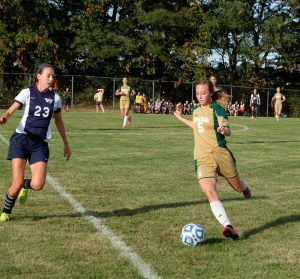 Although the Lady Barons had lost games in previous years against the Westminster Titans, they entered the field with hope. The weather of the clear day was in their favor and students filled the stands to root for the Lady Barons. The Westminster team was fast and organized, however, a veritable opponent. Westminster scored their first goal early in the game with a penalty kick. The kick was given due to a collision of a Baron with the goalie in the goalie box. Their second goal came later in the second half of the game. Although they took a loss, the Lady Barons put up a fight. 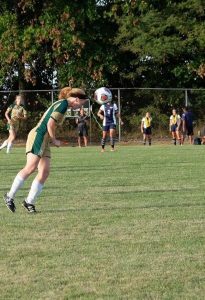 In the mind of Head Coach Clare McBane, this was partially due to freshman center defender Kate Janney. Janney helped the team by making many head clearances out of the air. Sophomore goalie Sarah Luebking also greatly aided the team, blocking 11 goals and thus serving to keep the score a competitive one. Her parents were among the fans in the stands, having flown to Ohio from Colorado to cheer on both Luebking and her sister, senior midfielder Savannah Luebking. Together the team maintains hope for the season, as the season’s early loss provides a learning experience. 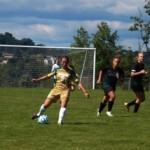 The Lady Barons’ next home game will be Oct. 1 against D’Youville College at 1 p.m.